Kings of Convenience are a music duo formed in Bergen, Norway. 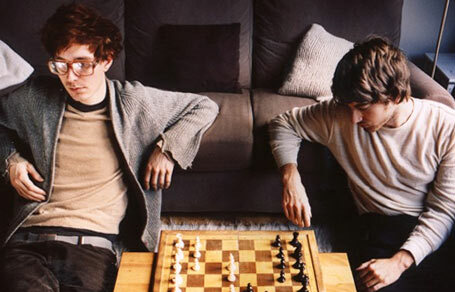 The band consists of Erlend Øye and Eirik Glambek Bøe, who met as children at a geography competition. Their albums have been praised by critics across-the-board for their great melodies and perfect harmonies. And as a bonus, you can find below two older tracks remixed by UK cult electronica act Four Tet and Norwegian duo Röyksopp.